As a NSW EPA appointed facilitator, under the Circulate, NSW EPA Industrial Ecology program, Cross Connections can assist SME businesses to apply for available equipment funding to assist with diverting waste from landfill. 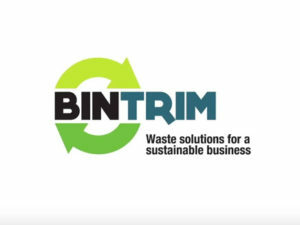 We also collaborate with other bin trim assessors to facilitate and maximise diversion of waste from landfill. The Bin Trim Rebates program is a $9.4 million program supported by the Environmental Trust as part of the NSW EPA’s Waste Less, Recycle More initiative, funded from the waste levy. It is being made available to fund small scale reuse and recycling equipment for waste generated by small to medium sized enterprises (SMEs). Small to medium sized businesses with 1-199 employees or those managing small to medium sized business waste such as facility managers (business parks, commercial buildings and shopping centres) and collectors and recyclers, are eligible to apply for a rebate of up to 50 per cent of the cost of reuse or recycling equipment. Applicants are eligible for one rebate per site of between $1,000 and $50,000 for up to five sites. A maximum of $50,000 is available for any one site per financial year period. Haven’t reviewed this opportunity yet? If you haven’t reviewed opportunities to apply for this funding to reduce costs and divert waste from landfill please get in contact as the current funding program finishes by June 2017.